The Braid Bed by Rugiano Interiors is hand-crafted by skilled artisans in the heart of Italy. This modern interpretation of traditional Italian design combines the finest materials with artisanal processes. 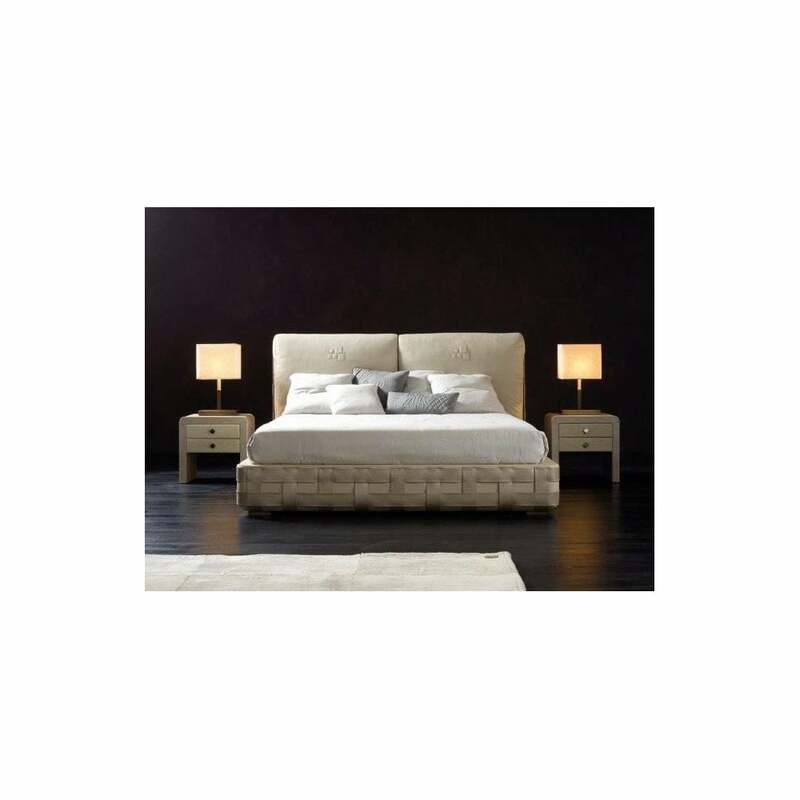 This low bed features intricate weaving and bronze or steel detailing on the bed base for a luxurious touch. The headboard is designed with two large cushions for maximum comfort and is finished with a subtle raised square motif. Upholstered in the finest leather, linen and velvet, Braid is available in a wide variety of sophisticated colourways. Choose a contemporary grey hue or a subtle stone finish for a hotel inspired look. A versatile design that would suit a Milan apartment or historical Florentine home. Pair with pure, white cotton sheets to create an understated, chic Italian style. Available in three sizes, make an enquiry for more information.